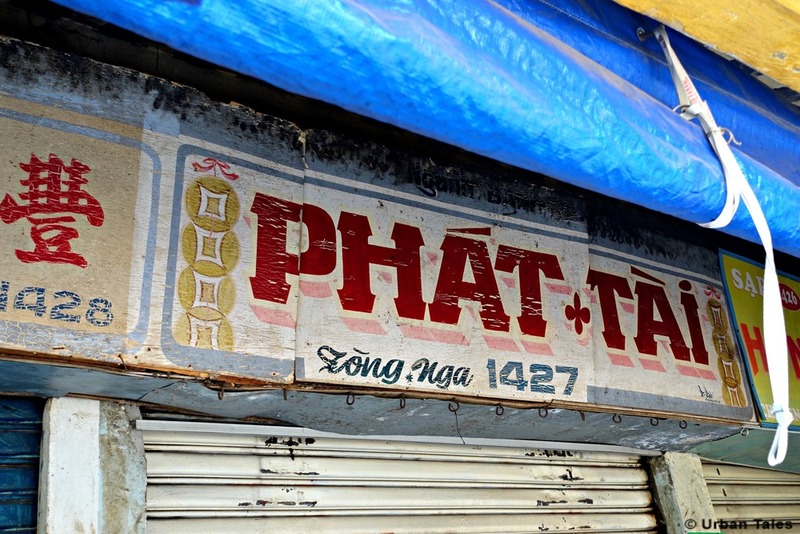 Are you familiar with the history of the Binh Tay market in Cholon? Well you are about to be, and you’ll see that it is not that known and actually quite special. 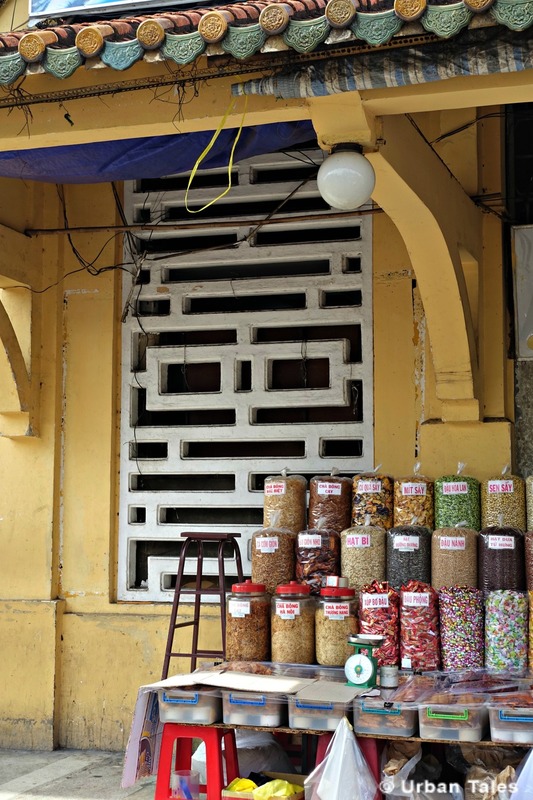 This market, the biggest in the city, was founded during the French occupation between 1928 and 1930. 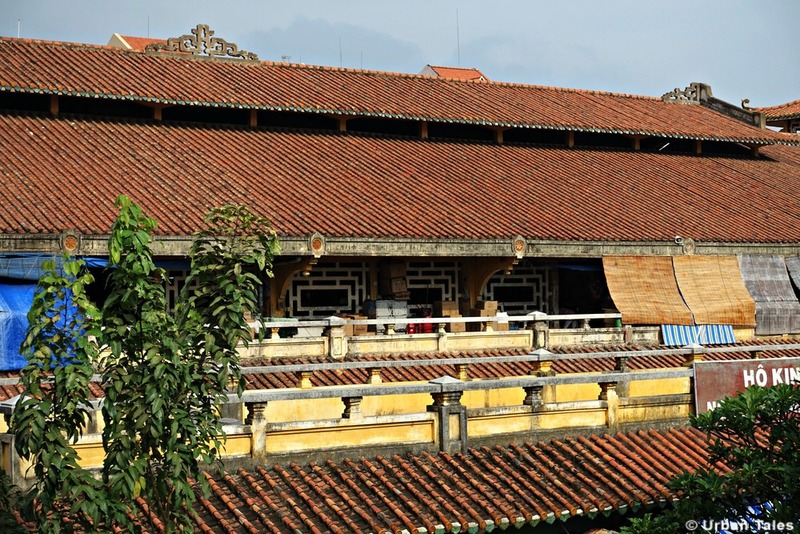 It was right between those walls that all the trade exchanges between Ho Chi Minh City, the Mekong Delta provinces as well as Cambodia, Laos and Thailand took place. But here comes the peculiar story of its lesser known origin. 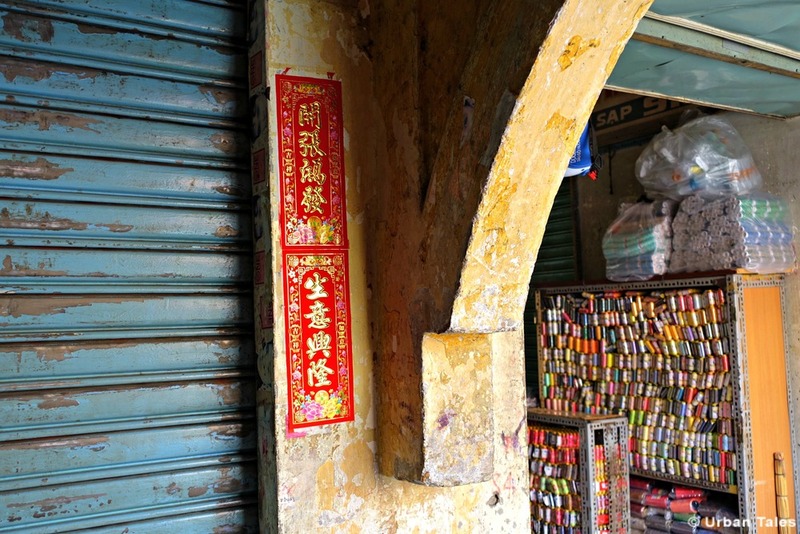 Truth is, the market came to be what it is now thanks to a very poor Chinese man, Mr Quách Đàm, a true self-made man who raised from rags to riches. 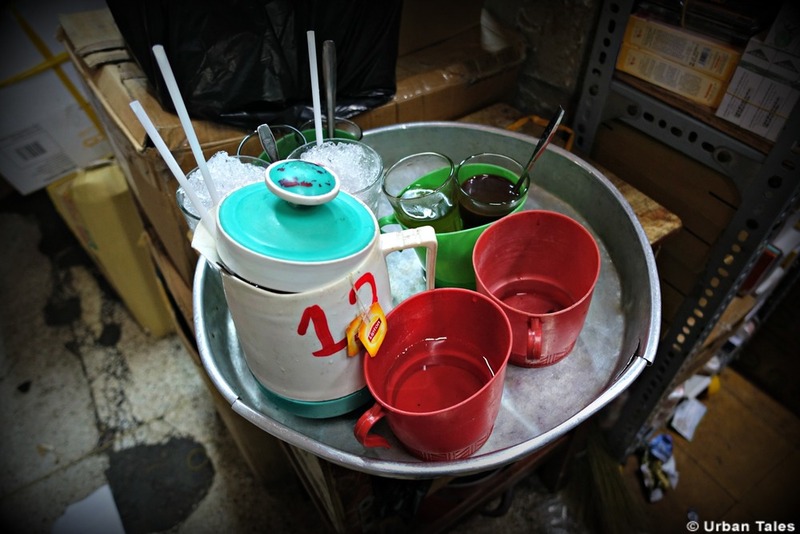 As a boy, he started off by recycling glasses which he found scattered around the area in Cholon. After some time, he had saved enough to start trading goods and finally, he became a rice merchant, trading mainly from the Mekong Delta. 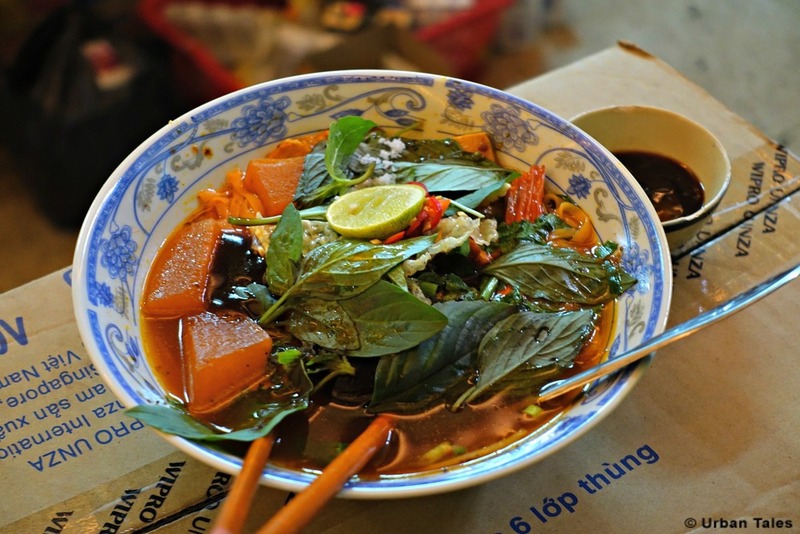 His company “Thong Hiệp” had its headquarters on Hải Thượng Lan Ong street, now specialized in traditional Chinese medical herbs. 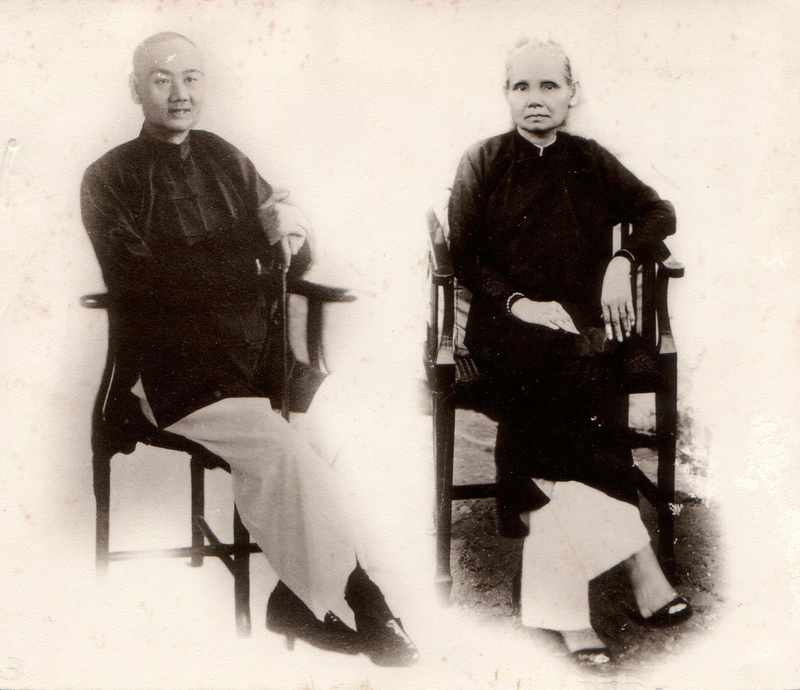 Quite quickly, he came to control much of the rice trade in the Binh Tay market and owned much of the land surrounding it. He was called the “King of rice”. 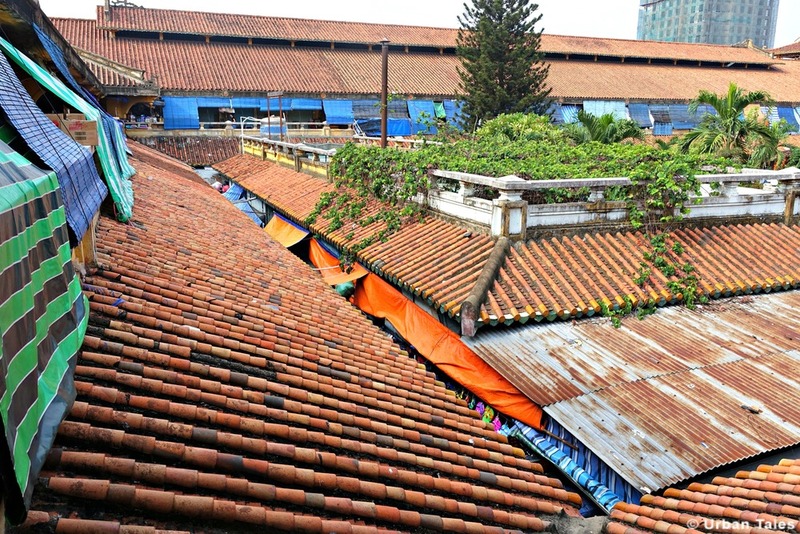 It is said that he offered his financial support to the local authorities to build the new market and the surroundings buildings & houses at his own expenses. 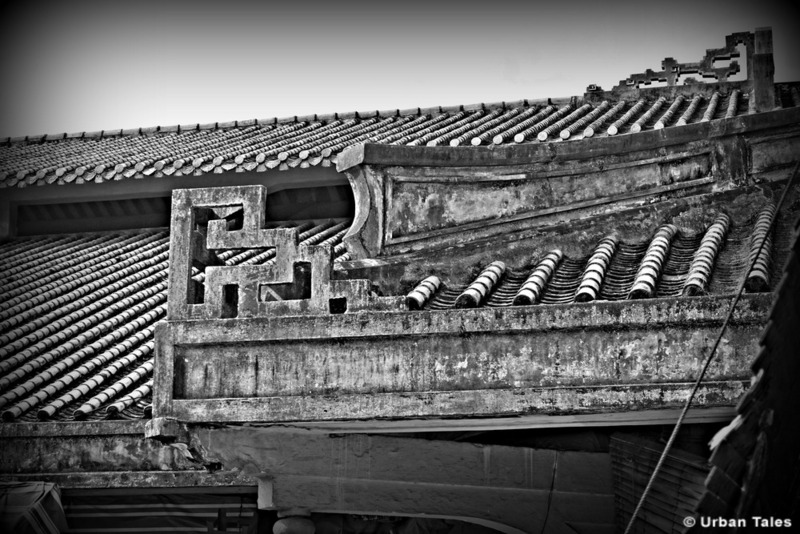 Years later, he decided to offer the market to the Chinese community as a reward. 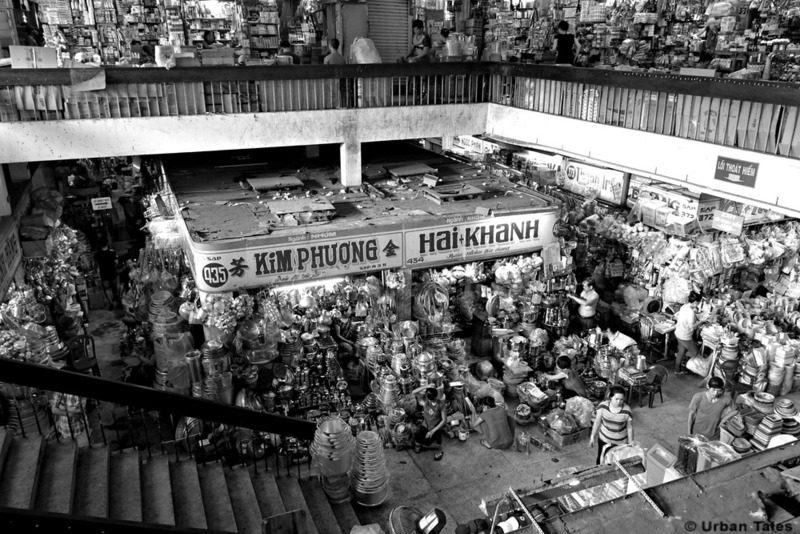 The market was finally inaugurated in 1930. 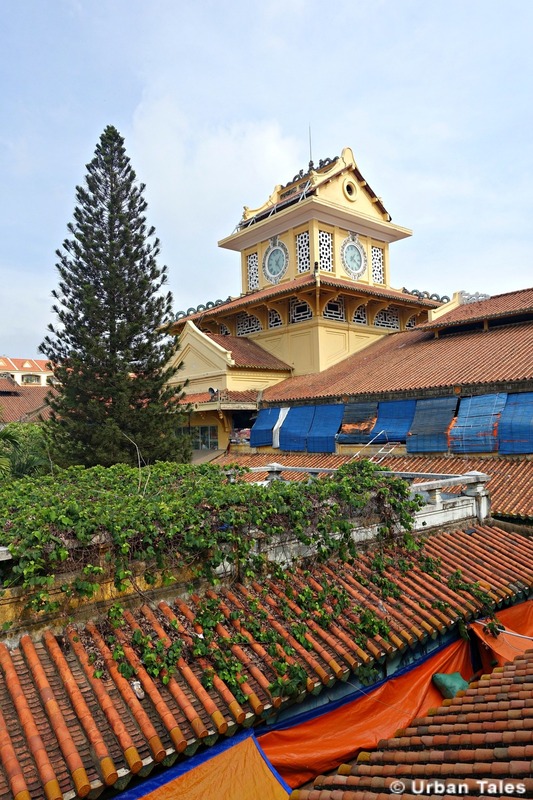 Designed by a French architect, Binh Tay still features a gorgeous mix between Chinese and French style with its lotus-flower shaped roofs, its belfry and its clocks. 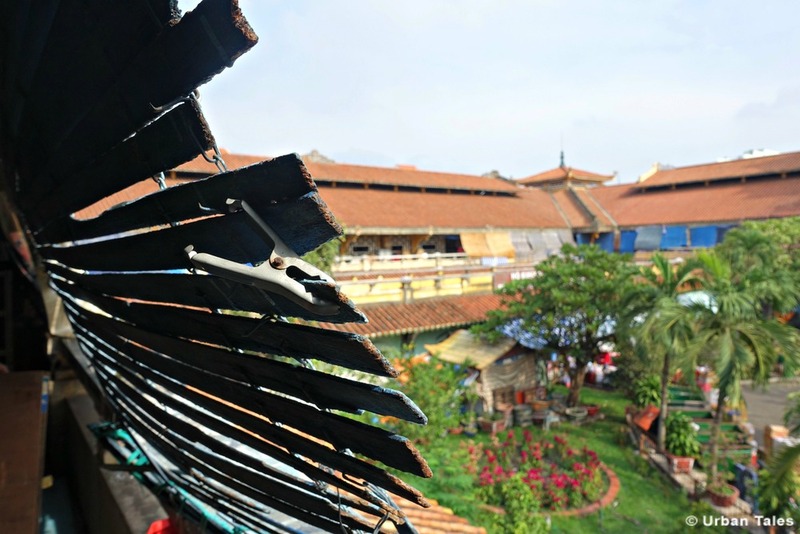 Until recently, the memorial of Mr Quách Đàm, surrounded by four bronze lions stood in the outdoor yard in the middle of the market. The statue was later moved and placed in the yard of the Fine Arts museum. 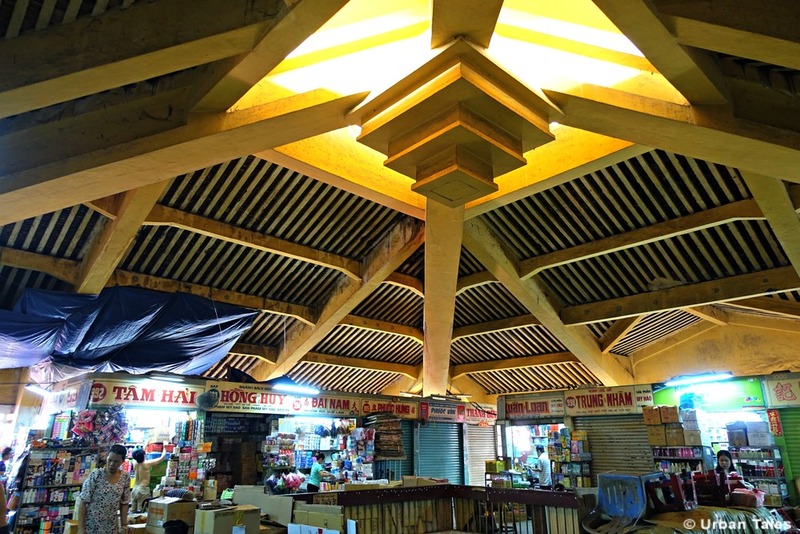 As for the market itself, the first thing worth noting is that it’s simply huge: with two floors, 12 entrances and over 2,000 stalls, it spreads on 4 blocks and it is the biggest market in town! Inside those massive walls, one may find nearly everything : food, spices, clothes and any kind of items. It is open every single day from 3AM until 9PM. Looking for the perfect moment to capture the essence of the place? Then dawn should suit you well. 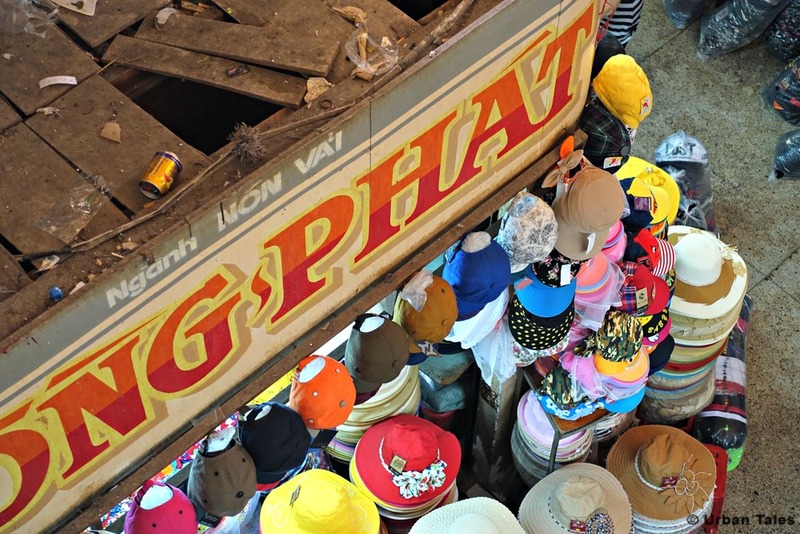 It is the best time of day to really catch a true glimpse of the hectic atmosphere of trading in Saigon. 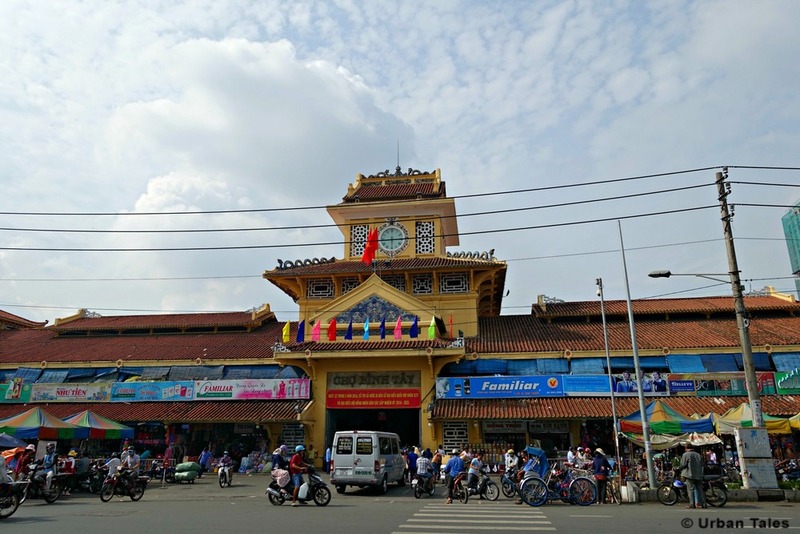 However, if you come there to shop for some nice piece of handicraft or a hand bag, you will be disappointed as Binh Tay is a wholesale market. 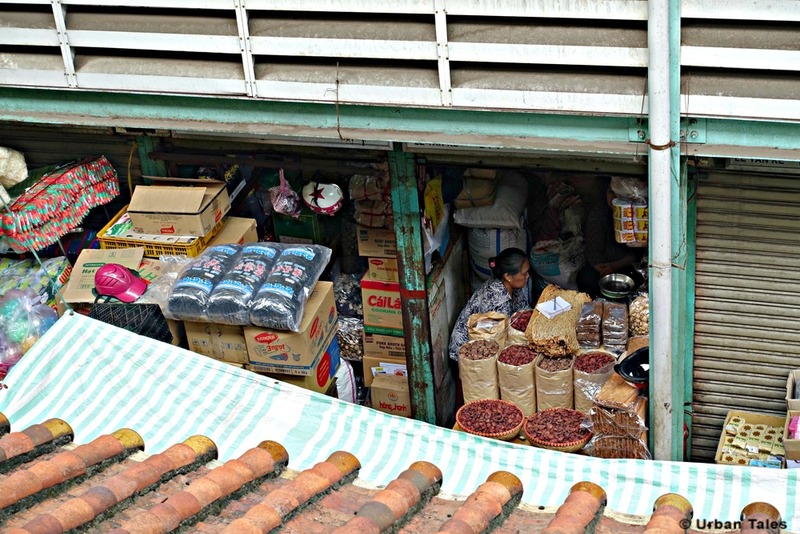 Traders from all around the country bulk-buy goods and redistribute them in various kind of stores or small markets. 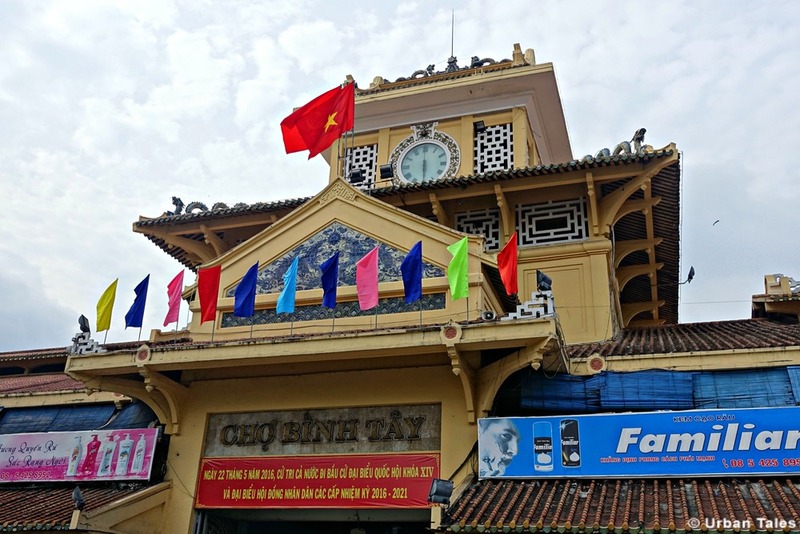 If you want to visit Binh Tay market in the heart of Saigon’s Chinatown, book our self-guided tour and come investigate the strange case of Dr Lam!